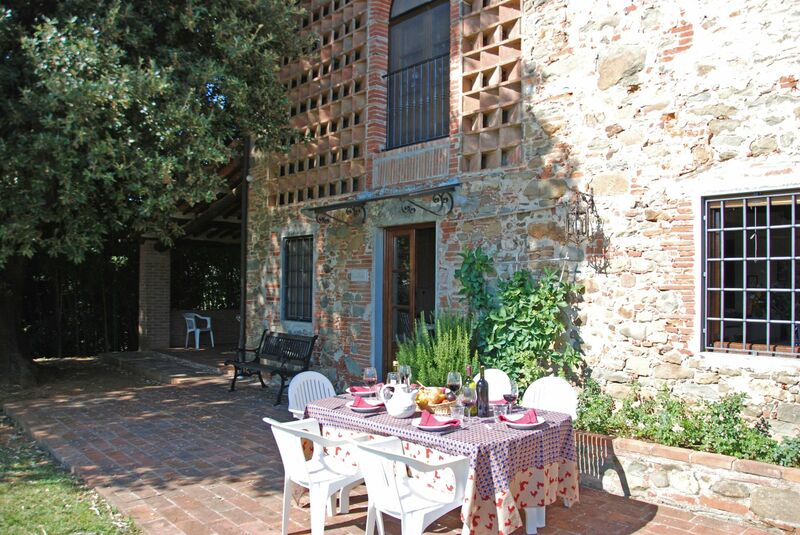 This charming stone-built farmhouse dates back to the 17th century. 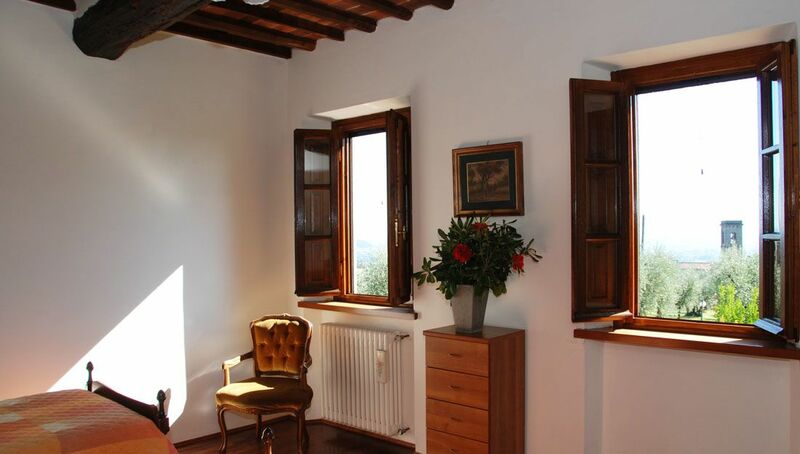 Located in the Lucca hills, it boasts a peaceful position and fine, broad views. 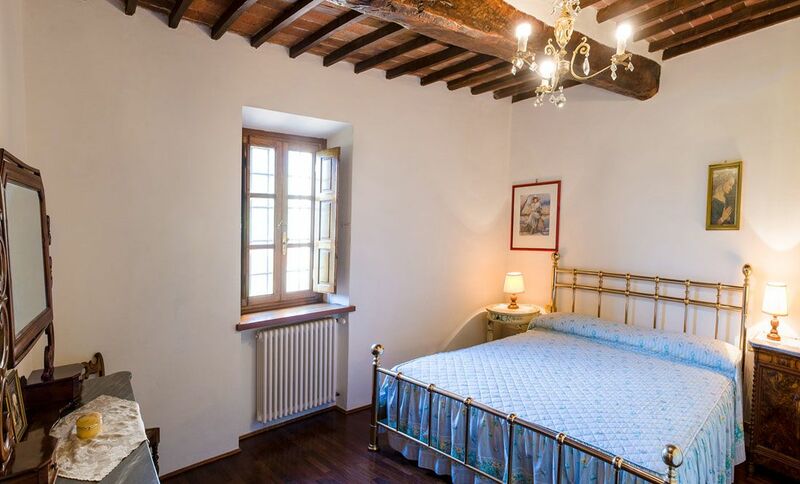 The functional interiors are provided with modern facilities, such as Sat-TV, wi-fi connection, safe, mosquito nets; air conditioning is available in the bedrooms. 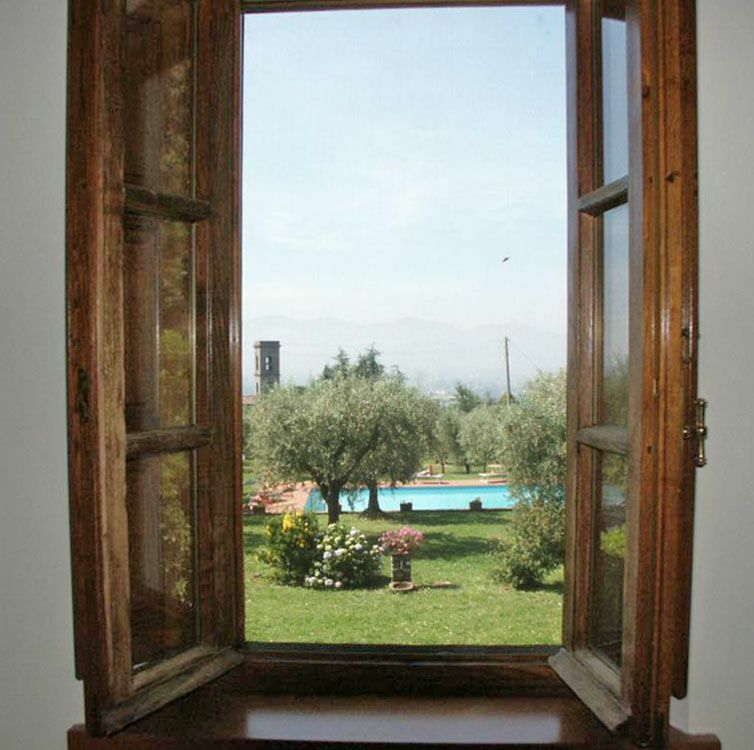 The farmhouse looks onto a lovely garden, with a well kept lawned area in front, hosting a wide range of plants and flowers: geraniums in Tuscan pots, bougainvillea, roses, hydrangeas, lemon trees, a vegetable garden, a 135 year old, shade providing holm-oak and beyond, olive trees and vineyards. 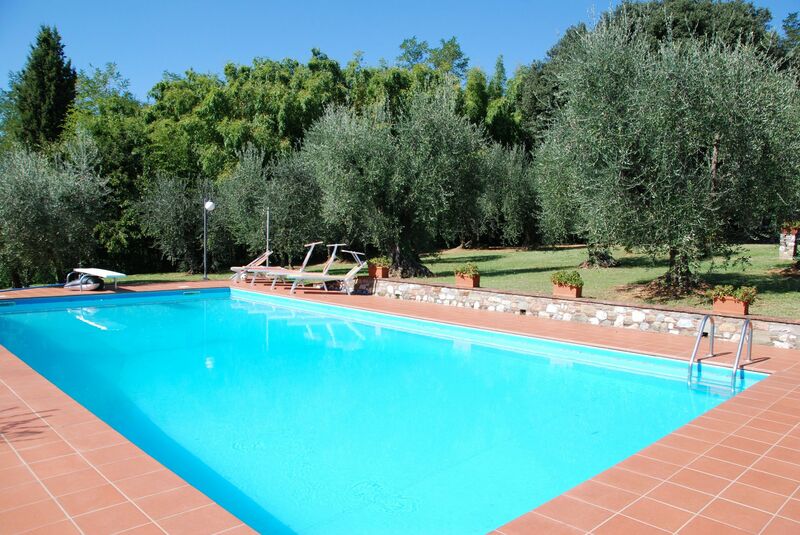 In a pleasant setting amongst the olive groves, there is a lovely swimming pool. There is a sunny exposed pavement in the front of the house and a shaded veranda around the side where it is possible to enjoy outdoor meals. 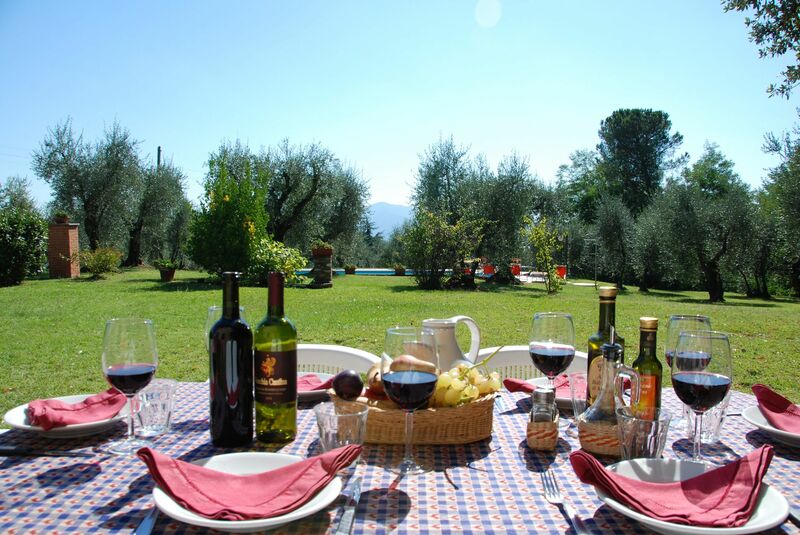 It is possible to book organized excursions to major sites of interest and wine tours upon request. 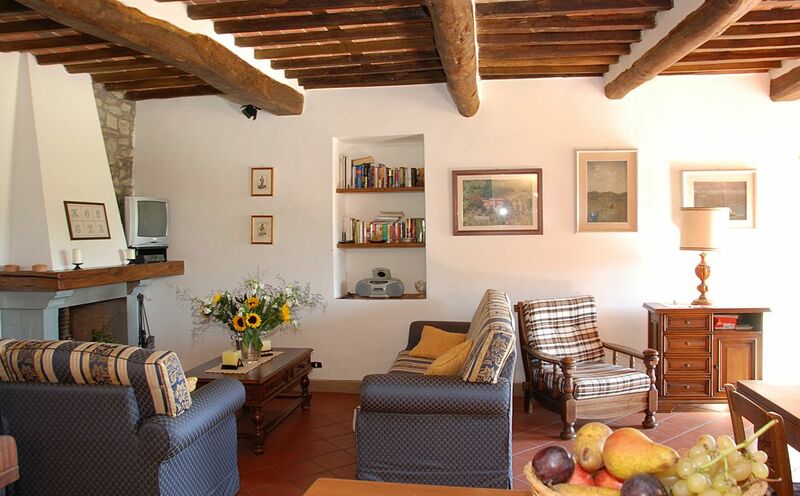 Casa Tonio is part of a large farmhouse and is particularly suitable for one family. The helpful owners live in the adjacent house with independent entrance. They are a multilingual young couple and will be happy to assist clients for any need. Entrance into a sitting/dining room. 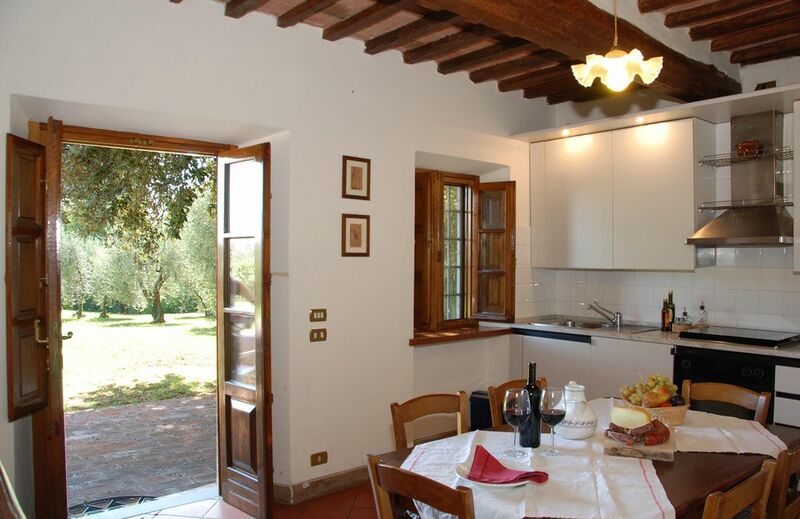 Well equipped kitchen with doors opening onto patio. 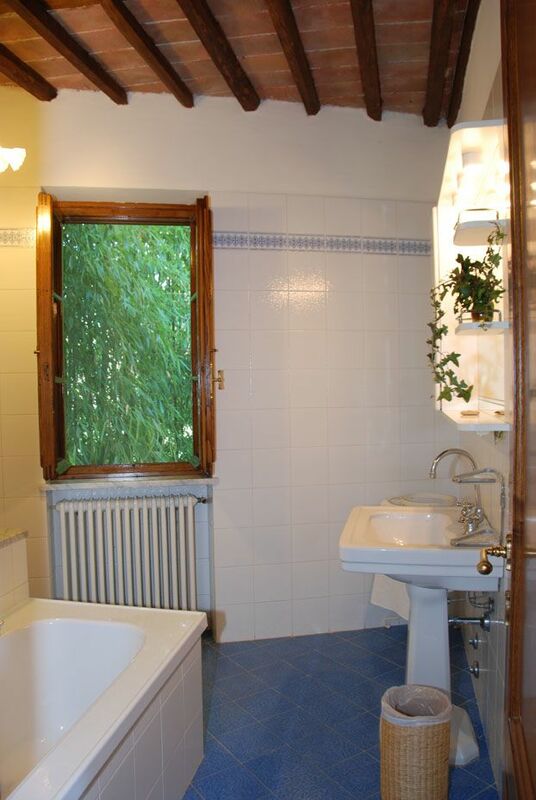 Bathroom (shower). 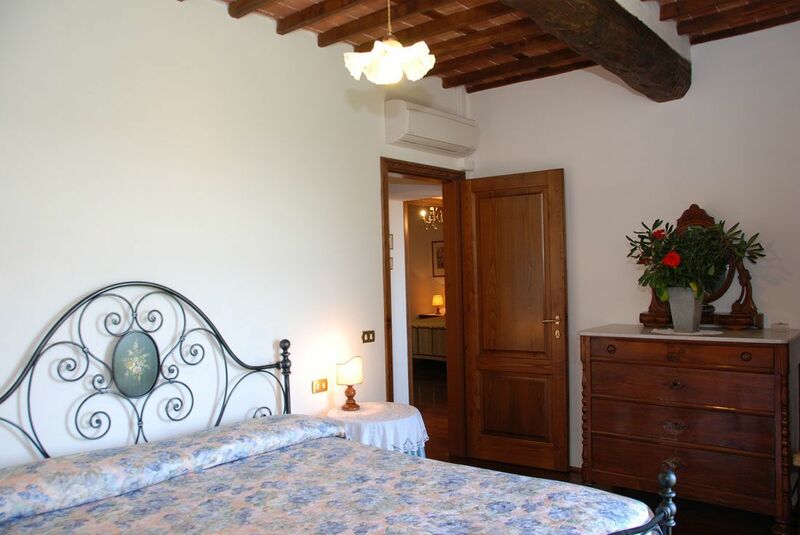 Two double bedrooms; twin bedroom; bathroom (bathtub). Thank you for your email of last week. We had a wonderful vacation. 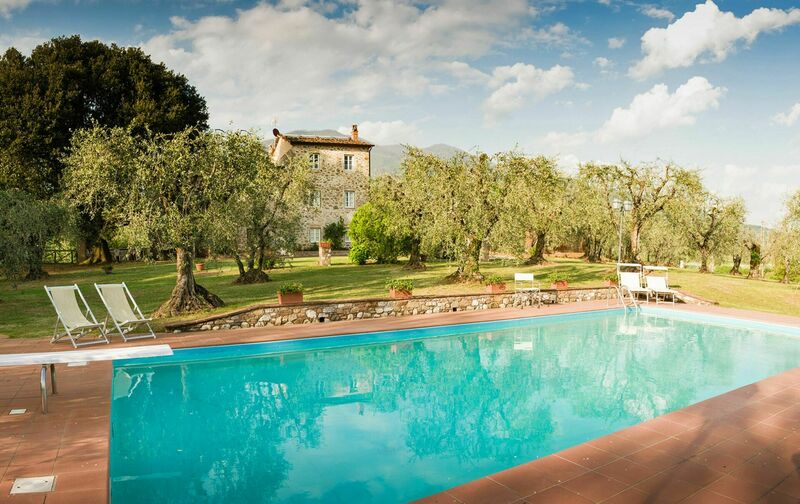 We absolutely loved the property, Casa Tonio - especially the beautifully landscaped swimming pool in the olive grove. It was all perfect. I loved the pretty views of the towers below and to the left of the property. Alberto was super although we couldn't really communicate, he was obviously such a lovely person. Please thank him again from us. Thank you for the little complimentary shower gels and shampoos in the bathrooms. The property was spotlessly clean and everything was in good working order. Thank you for organising the immediate replacement of the plate inside in the microwave. We liked this year again very well in the casa tonio. 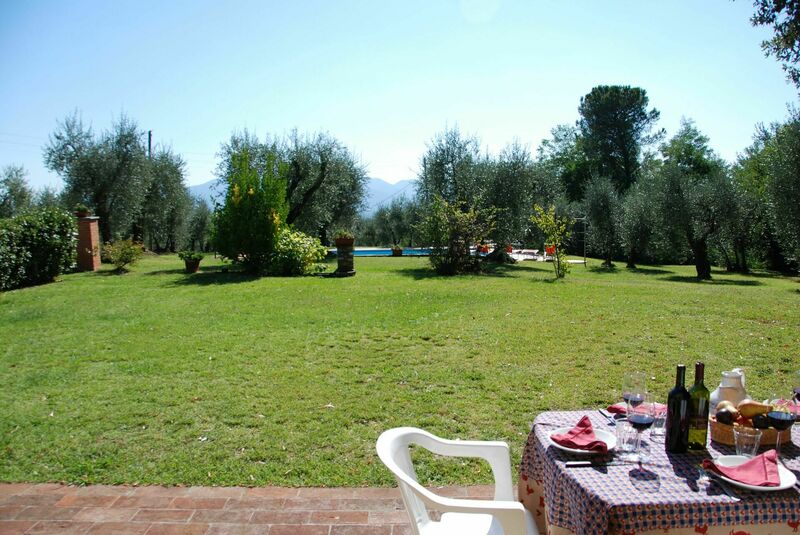 A lovely house, with a beautiful garden full of olive trees. Very relaxing and convenient for touring as well. We enjoyed our stay very much. 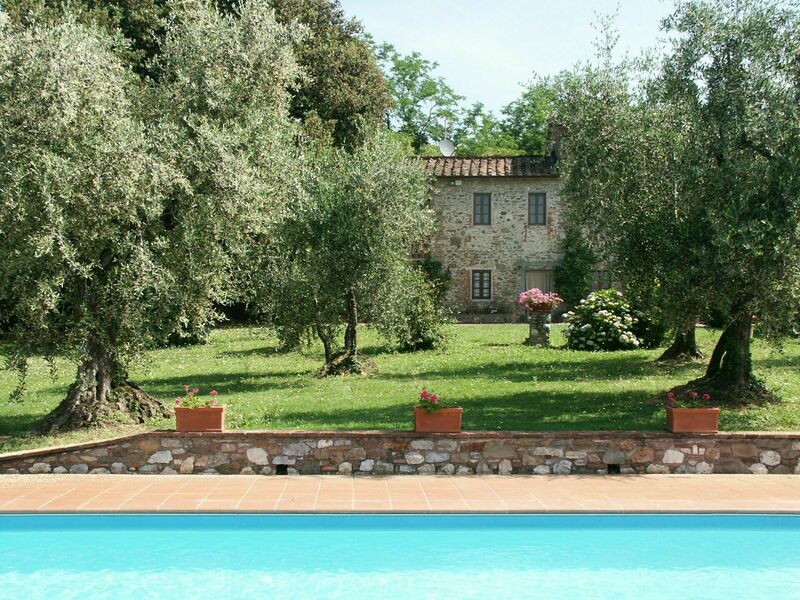 A lovely villa with a gorgeous garden and pool. We had a very relaxing week there. 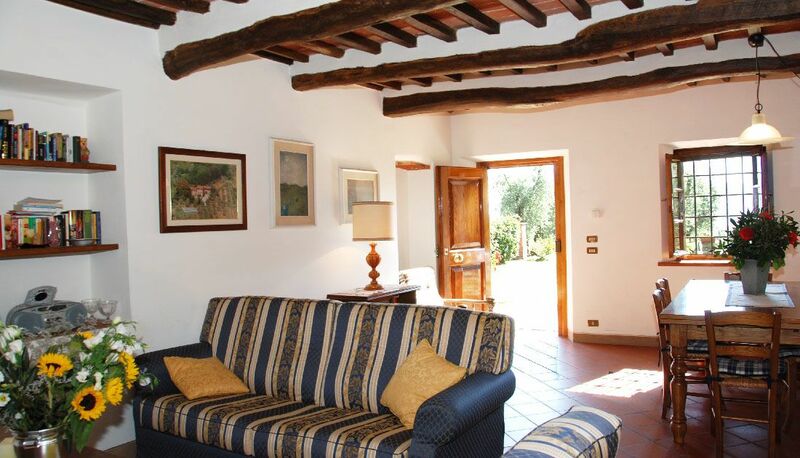 We loved Casa Tonio. 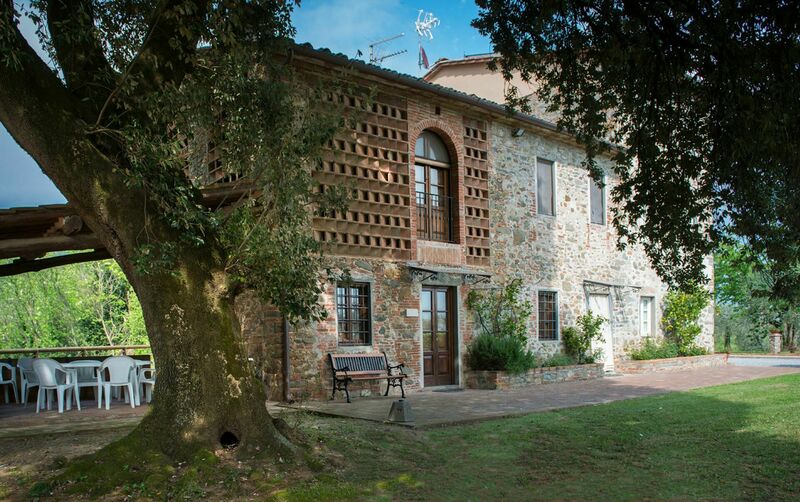 It is a beautiful villa in a quiet, pretty setting in the hills above Lucca. It was perfect for our family of five. the owner was very nice and spent time showing us around the olive groves surrounding the house and giving us a history of the land. A family friend of his provided us with a home cooked meal that was one of the best meals we had in Italy. 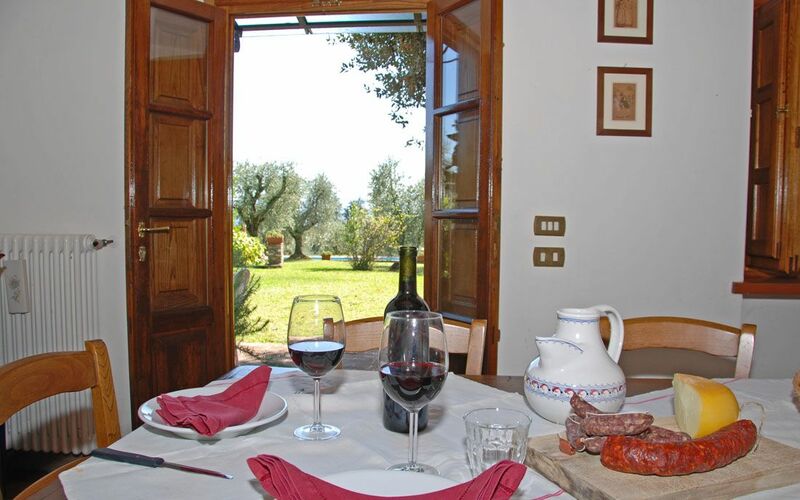 We would highly recommend Casa Tonio and would like to return some day. 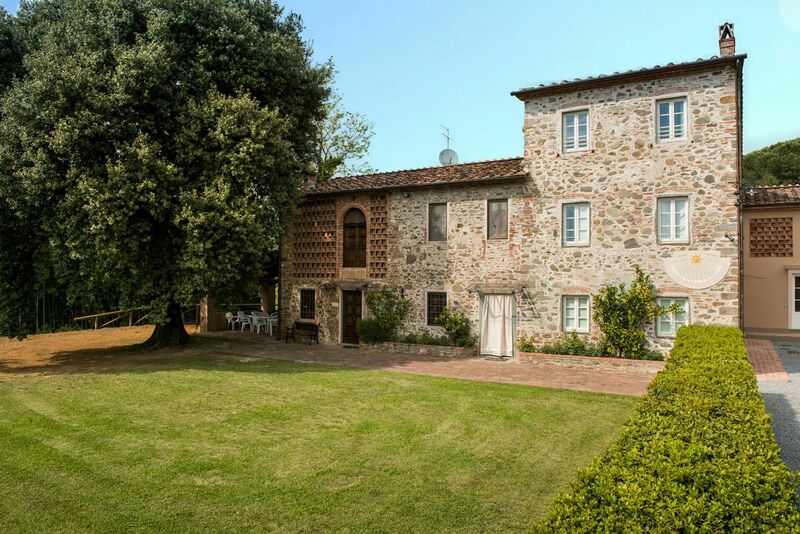 Casa Tonio is set amongst old olive groves overlooking the nearby village church, and located some 25 minutes by car from the town of Lucca. The local village cafe is a 10 minute walk. 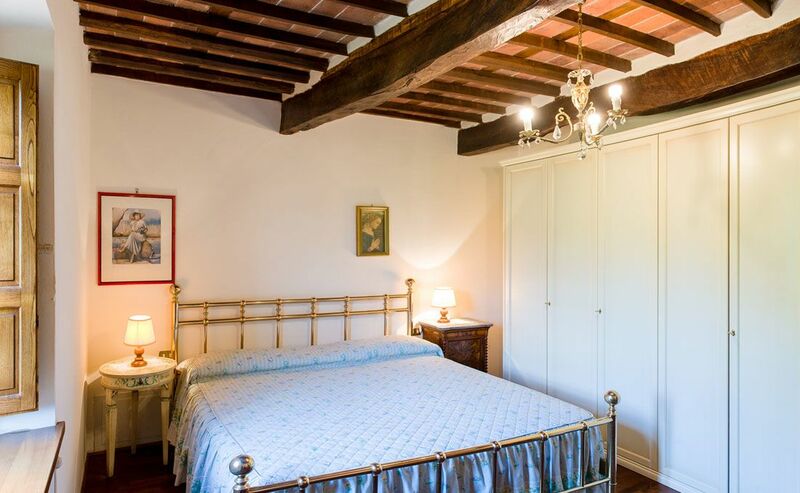 The casa comfortably sleeps six people, but the owners are currently in the midst of an extension which looks like it will double the capacity. 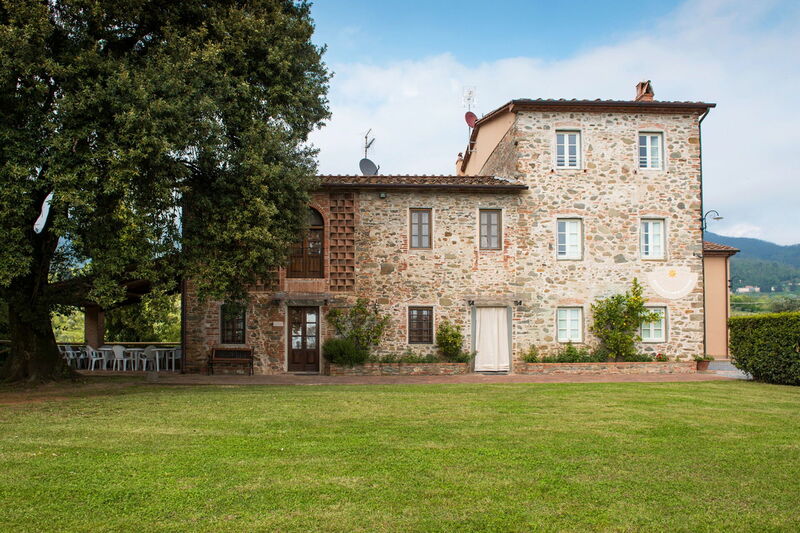 Aesthetically, Casa Tonio is straight out of a Tuscan travel book. If we had a complaint, and it was only minor, it was the lack of bed pillows (one for each person only).